Produced as part of the Doctor Who 50th anniversary celebrations, An Adventure in Space and Time is a docudrama about the creation and early years of the series. Superb cast, loving script and glorious production combine to give us a truly delightful piece of television. An Adventure in Space and Time covers the fist few years of production (1963-66), from the development of the original concept by Sydney Newman to the departure of the first Doctor, William Hartnell. The focus is split between Hartnell’s experiences and those of the production, through producer Verity Lambert, director Waris Hussein and head of drama, Sydney Newman. We get to see the trials and tribulations of low-budget television production, as well as experiencing the huge impact of the series on Hartnell. Seeing it on screen makes it seem like such an improbable story — a production that seemed destined to fail, but went on to become a legend of British television. In many ways, it’s the story of an unlikely band of outsiders — the Canadian television executive, the female producer, the gay Indian director and the has-been leading man. While based on the actual events of the production, it is also a drama and so does take a few liberties. With the focus on production rather than writing, we don’t get to meet the Australian writer, Anthony Coburn, or the script editor David Whitaker, both of whom had a huge impact on the series. The script so beautifully captures the feel of the 1960s era and the effort of production. It is subtle and nostalgic and respectful. On a number of occasions, writer Mark Gatiss has referred to it as his “love letter to Doctor Who”, and that is such an apt description. There is also a lovely link to the new series. The cast is amazing. David Bradley is extraordinary as William Hartnell, giving him such depth and believability. The script doesn’t shy away from Hartnell’s irascibility and often-difficult working relationship with others, and yet Bradley’s performance gives him such pathos you can’t help but adore him. Brian Cox is suitably bombastic as Newman, and Jeff Rawle is affable as associate producer Mervyn Pinfield. Jessica Raine and Sacha Dhawan as Lambert and Hussein, really shine. They are both believable and extremely likeable in the roles. All up this is a thoroughly charming production and wonderful insight into the creation of a television giant. There are some really nice extras on this one-disc release — some behind-the-scenes material, deleted scenes and the full recreated scenes that were only viewed in passing during the docudrama. It is a pity there’s no commentary. I would have loved one from writer Mark Gattis. His commentaries are always worth listening to and I can imagine the insight he would have brought. There’s no Blu-ray release as yet, so perhaps we’ll get a commentary on this in the future. 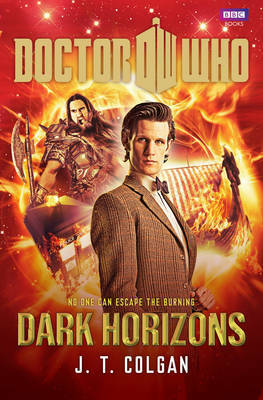 An Adventure in Space and Time is released on DVD in Australia by Roadshow Entertainment. Lovely show, but the casting wasn’t all superb. Reece Shearsmith, a gifted comedian, was so underwhelming as Patrick Troughton that it’s hard not to suspect it was a deliberate measure to make Hartnell’s replacement look inadequate. The blokes who played Peter Purves and Michael Craze looked like they wandered in off the street, and that’s putting it kindly. Just tiny quibbles. The whole exercise was overwhelmingly positive. I reckon ‘An Adventure In Space And Time’ was the best of the 50th anniversary output. I really enjoyed An Adventure in Space and Time. I thought I was sitting down to view a documentary on Doctor Who, but was very pleasantly surprised. A great triva question for the future will be what television series debuted on the day another major historical event occured. The actor who played Hartnell looked so like him too.